Attendees at last year’s Table Toppers visit among the gorgeously decorated tables in the Baylor Club. This year’s event, which benefits Art Center of Waco, will be held on March 22. Former pitcher Jim Morris, whose unlikely route to the Major Leagues, was told in “The Rookie,” will speak at the Family Health Center Gala on March 22 at the Texas Ranger Hall of Fame and Museum. A candle is lighted at the Fallen Soldier Table to remember military members who lost their lives. It is part of the activities for Freedom Ball March 24 at the Waco Convention Center. From pizza to brisket or tacos, and plenty of other dishes, the Food Truck Showdown returns to downtown Waco on March 17, St. Patrick’s Day. A platter with soups from the Soup Cook-off portion of the Feast of Caring event is delivered to a table during the 2017 event. Caritas now offers a Success Coach program with Brian “Spike” Burt, who works with clients that are entry-level employees who are facing personal or family issues that could impact their job. But all that activity costs money. Table Toppers, the Art Center’s high-profile fundraising event, will be held from 10:30 a.m. to 12:30 p.m. March 22 at the Baylor Club. Now in its 27th year, Table Toppers is a fun and colorful champagne luncheon that features tables decorated by local designers, businesses, organizations and schools. Guests can visit each table to enjoy exquisite detail, amazing displays, and can speak to a representative of the organization to learn more about their offerings. Claire said Table Toppers helps provide funds for such programs as the Art Expedition mobile art exhibit. The Art Expedition brings art to Waco-area schools and to public events. The Art Center is still holding adult and children’s art classes and held an Artist Talk by abstract painter and Baylor art professor Winter Rusiloski in February at the Waco Winery. Plans are underway for the popular art summer camps for children with Hillcrest Professional Development School, which has a long history with the Art Center, as the location. Early bird tickets to Table Toppers can be purchased through March 3 for $65 for Art Center members and $70 for non-members with the price increasing to $70 and $75 beginning March 4. For more information, visit artcenterwaco.org. Hippity, hoppity, Easter’s on its way. With that in mind, VOICE will host a Bunny Brunch for children and adults on March 17 at Ridgewood Country Club. The event, which will begin at 10:30 a.m., will include lunch, a style show featuring clothing for children and adults, children’s activities and photos with Bonnie the Bunny. VOICE is a nonprofit organization that empowers children and their families to lead healthy and productive lives through a variety of programs that emphasize the value of healthy living, wise decision-making and education. The organization’s guiding focus is to prevent substance and alcohol abuse. VOICE achieves this through shoring up protective factors, such as methods to resist bullying, creating a love of learning, education about good nutrition and fitness, and strengthening families, among others. Among its many programs, VOICE sponsors Summer Breakout, in which first- through fifth-grade students maintain mental acuity and learn healthy behaviors in this eight-week summer program held in low-income neighborhoods, including housing authorities. Nationally recognized MindUP curriculum is used to teach children how the brain influences learning and behavior. A similar program, titled the Summer Freedom School, teaches kindergartners through eighth-graders the value of education while exploring their cultural heritage. This multi-week summer program is held on school campuses, and participants’ parents are required to volunteer at the program and attend parent training sessions where they learn the skills needed to be an active part of their children’s lives. Other programs include educational presentations at schools that focus on the harmful effects of tobacco, alcohol and other drugs on their lives, their families and the community; Pathways to Success, a leadership program for high school students; health and wellness events; and the College Achievement Program. Tickets to the Bunny Brunch cost $30 for single children and adults and $240 for a patron table for eight. For more information, call 254-741-9222 or visit voiceinc.org. Do you remember the 2002 movie “The Rookie,” directed by Baylor alumnus John Lee Hancock and starring Dennis Quaid? It is based on the true story of Jim Morris, who had a brief, but famous, Major League Baseball career in 1999–2000. 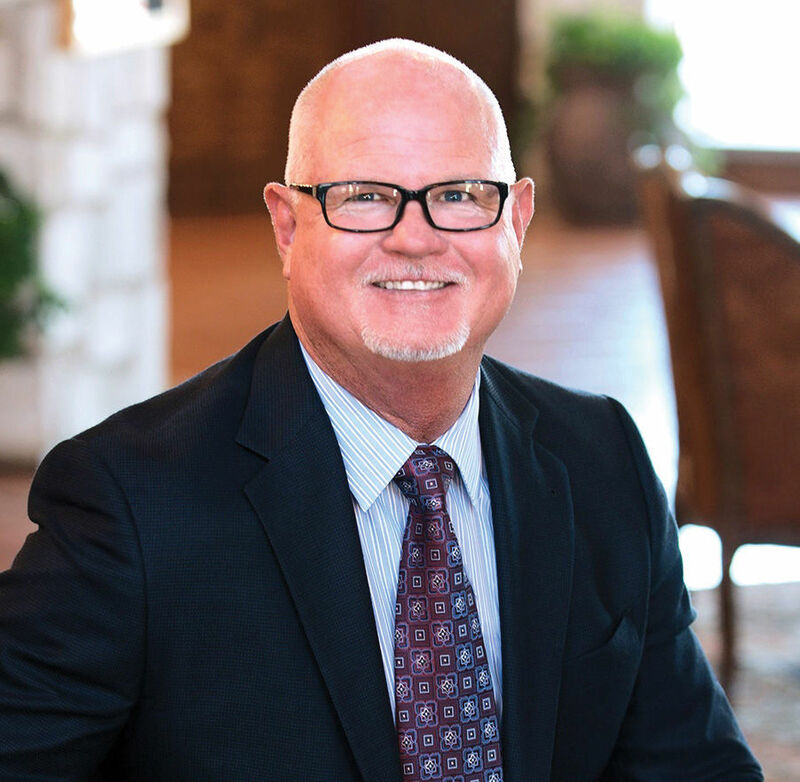 The real Jim Morris will be in Waco on March 22 for the Family Health Center’s Gala Fundraiser at Knox Hall in the Texas Ranger Hall of Fame. The evening will begin at 6 p.m.
Morris was a minor league baseball player whose dreams of a major league career were dashed because of arm injuries. He became a coach of a high school team in West Texas. He bet his last-place team that if it won the championship, he would try out for the majors. The team did, and Morris followed through with his agreement. At his tryout, he threw 98-mph fastballs and eventually made the majors at age 35. The gala also will include appetizers and dinner. Tickets cost $165 per person. Created in 1969, the Family Health Center seeks to improve the wellness of the underserved and vulnerable residents of the Heart of Texas by providing effective access to high-quality comprehensive primary healthcare, and to educate tomorrow’s family physicians and healthcare professionals. In 2017, the FHC saw 57,894 individual patients (one out of every five county residents) that accounted for 230,702 medical, dental and behavioral visits. Additionally, the center was one of the first organizations to fully integrate a federally qualified health center and a family medicine residency program. More than 400 family physicians have graduated from the residency program and over 300 graduates practice in Texas. In fact, more than half of the family physicians who practice in Waco and McLennan County are Family Health Center graduates. For more information about the gala, call Dale Barron at 254-313-4350. Ten years ago, the Greater Waco Chamber of Commerce and the Greater Waco Aviation Alliance hosted the inaugural Freedom Ball, a unique event that honors military personnel, veterans and Gold Star families in the area. This year’s event will be held from 6 to 11 p.m. March 24 at the Waco Convention Center. The ball will include dinner and dancing to the sounds of the 12-piece King David Band from Dallas, as well as silent and live auctions. Because the Freedom Ball honors the military, the event also includes elements of a military ball, including the moving Fallen Soldier Table. The table’s décor is highly symbolic and includes an inverted wine glass to represent the fact that the fallen comrade will not be able to participate in the happy toasts at this event; a lemon wedge to represent the bitter loss of the life of the fallen soldier; and salt to represent tears shed for the soldier who is missed; as well as a white candle, rose and empty chair. The “Fallen Soldier Table” poem will be read. Additionally, Gold Star spouses, who lost their loved ones during military service, will be special guests for the evening while all active duty personnel, veterans, wounded warriors and Gold Star spouses are presented with medals. The Freedom Ball is the brainchild of Jim and Lynette Allmon, owners of Blackhawk Modifications. That first ball was held in one of TSTC’s hangars and attracted 300 guests. Lynette expects 600 guests at this year’s ball. While discounted $50 tickets are offered to active-duty military and veterans, individuals can also donate tickets to military personnel for $50. Tickets cost $125 per person. Proceeds from the Freedom Ball provide scholarships to high school and college students pursuing careers in aviation and engineering related to aviation. For more information, visit wacochamber.com. March is a busy month for the Greater Waco Chamber. In addition to sponsoring the Freedom Ball, the organization will hold the Texas Food Truck Showdown, which is now in its fourth year. And since the yummy event will take place on St. Patrick’s Day, you might see some green beer. This year’s event not only will feature food trucks from Texas, but its first out-of-state food truck arriving from Louisiana. Celebrity judging of food truck dishes kicks off the full day of activities. Food trucks will sell their signature dish from 10 a.m. to 4 p.m., and the public will determine the People’s Choice award winner. Trucks will only take Tasty Tickets during this time to speed up food lines and focus on serving their signature dish. The trucks will feature a variety of food, from Hawaiian holiday dumplings and baked potato pizza to a doughnut sandwich. Judges include Lilian Halabi, owner of Lily’s Cakes in Harker Heights and the winner of the Food Network “Cake Wars;” chef Tai Lee, who owns and operates four gourmet eateries; Doug Renfro, president of Renfro Foods; Mitch Siegert, owner of Truman Chocolates; and Erica Waksmunski, owner of Red Star Southern food truck in east Austin. The day will feature more than food. The Austin Reptile Shows will have presentations beginning at 10:30 a.m. The Providence KidsZone will include face painting, children’s activities and Ponies & Pals petting zoo throughout the day. Len Pawelek, certified executive chef and culinary arts department lead at Texas State Technical College, will conduct food demonstrations at 12:30 p.m. and 2:30 p.m. An Artists’ Market will run from 10 a.m. to 5 p.m. Live music will start at noon on the main stage and will feature Jackie Darlene, Union Revival, Bill & Phil, Johnny Joe Ramos, the Huser Brothers and Sloppy Joe. Beer and wine will be available from 10 a.m. to 7:30 p.m. The Texas Food Truck Champion will be announced around 4:30 p.m. Food trucks re-open for dinner with full menus from 4 to 8 p.m. and will stop taking tickets at that time. Tasty Tickets cost $5 and are usually sold in bundles of five for $25. Follow the Texas Food Truck Showdown on Facebook to receive up-to-date information on the event. For more information about the event or the competing food trucks, visit www.TexasFoodTruckShowdown.com. Speaking of food, on April 3 Caritas of Waco will hold its annual Feast of Caring at 6 p.m. at the Waco Convention Center. This festive event will be a delicious and fun way to spend a Tuesday evening. The highlight of the event will be the “Soup Cook-Off,” in which local restaurants and caterers, from the Baylor Club to the new Jon Lillies Steakhouse to First United Methodist Church will serve their best soups to guests. The guests will then vote on their favorite soups by placing cash into carafes at the booths for which they wish to vote. Each $1 donation equals one vote. In addition to the soup served at the event, there will also be a smaller “Dessert Cook-off.” The process will work the same way as the soup cook-off, but with sweet treats instead of savory soups. The Souper Spoons game will be another exciting activity where contestants can win gift cards ranging from $10 to $115. It will cost $10 to play, and participants are guaranteed at least a $10 gift card. The 2017 Feast of Caring raised $87,000 and was attended by 400 guests. These funds helped to provide food to 241 families for one year. Caritas’ goal for 2018 is to raise $95,000. One new service Caritas offers to its clients is the Success Coach program with Brian “Spike” Burt hired as the first coach. In August 2017 Caritas implemented this as part of the new Waco Employer Resource Network (WERN) that seeks to identify entry-level employees of local businesses who may be experiencing personal or family difficulties that may jeopardize their continuation on the job. Such individuals may receive services from Brian, who will help determine steps needed to address these difficulties and arrive at a solution before a job loss results. The role of the success coach is to offer support and insight to the client and guide them in responding to the problem. This program is being made available through a three-year grant from the city of Waco in conjunction with Prosper Waco. The goal in mind is ultimately lowering the rate of poverty in the Waco community. Feast of Caring tickets cost $35 per person and all proceeds support the work of Caritas. Tickets can be purchased at www.caritas-waco.org or by calling 254-753-4593, ext. 213. “Funds raised at the event are used to provide services to our clients – and we serve an average of 2,500 families per month, so we rely heavily on our community to support our work,” Ann said. Waco residents can keep up with Feast of Caring information by following the Caritas of Waco Facebook page. Waco Alumnae Panhellenic will have its annual Spring Forum at 2 p.m. March 25 at the First United Methodist Church. All high school senior girls and their parents are invited to attend. The forum will provide information about sorority recruitment and the Greek sorority system at colleges and universities. Eve Riley, past president of the National Panhellenic Conference, will speak with parents while Tam Dunn, who retired from Baylor’s Student Life where she served as Panhellenic adviser, will discuss recruitment with senior girls. A $5 donation per girl to help defray the costs of the forum will be payable at the door. 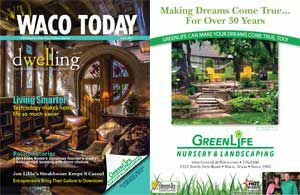 For more information, email lhallenbama65@gmail.com or call 254-715-0934. The sixth annual South 40 Outdoor Expo will be held March 24-25 at the Extraco Events Center. The expo will include a car show, a barbecue cook-off, the South 40 Fishing Trail Championships, as well as many vendors, food trucks and kids’ activities. It is free and open to the public.